The Poetry Brothel is a unique and immersive poetry event that takes poetry outside classrooms and lecture halls and places it in the lush interiors of a bordello. The Poetry Brothel is inspired by the turn- of-the-century brothels in New Orleans, Paris, and Buenos Aires, many of which functioned as safe spaces where fringe and avant-garde artists could experiment and perform their work. 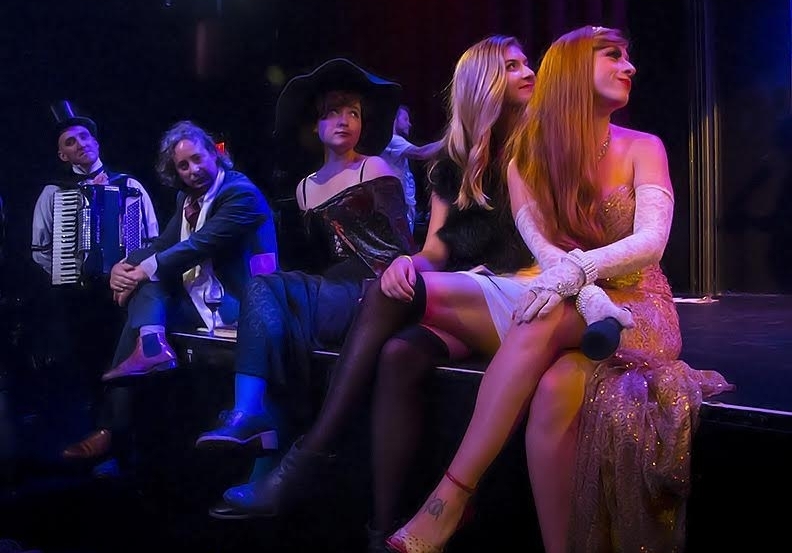 At each event, The Madame presents a rotating cast of poets, each operating within a carefully crafted character, who impart their work in public readings, spontaneous eruptions of poetry, and most distinctly, as purveyors of private poetry readings on beds, chaise lounges and in private rooms. For a small fee, all of the poets are available for these sequestered readings at any time during an event. Of course, any true bordello needs a good cover; The Poetry Brothel's is an immersive cabaret featuring burlesque, live music, vaudeville, aerials, visual art, magic, and mysticism, with newly integrated themes, performances and installations at each event. For information, tickets, booking inquiries, and more, please visit thepoetrybrothel.com.